Many organizations have purchased MFPs and are discovering the advantages of scanning and emailing documents to customers. They are now looking for solutions that allow them to scan and share documents across the network. Our document imaging system is designed to work seamlessly with MFPs. This same method works well with distributed scanning. 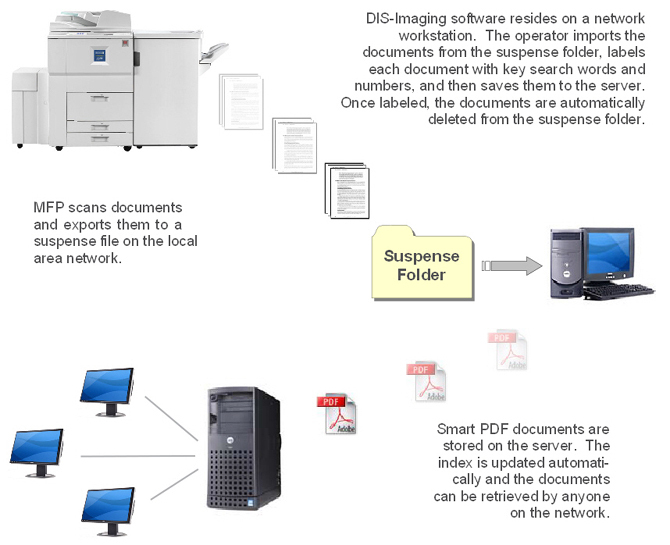 You may have different departments or outside offices scanning documents and sending them to a suspense folder for labeling. This process works well because it correlates to the paper workflow.